Eternal Sonata is a role playing game from Japan with a focus on incorporating musical elements into its gameplay. The game is available for Xbox 360 and the PlayStation 3. A large portion of the game is set within the strange dream world of Chopon, a composer of music that is on his death bed. Chopin is based directly on Frederic Chopin a popular composer and pianist of his time (1810-1849). The game takes place over 8 different game chapters that are each based on one of his compositions. 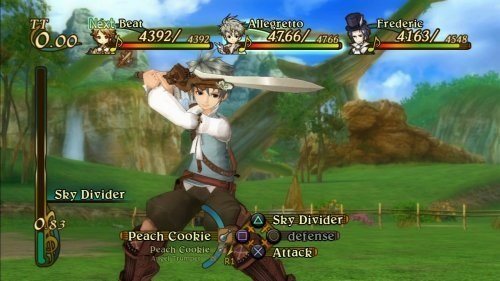 The story is quite a lengthy experience in Eternal Sonata and like most role playing games evolves from a simple quest into an epic adventure. The main character of the game is Polka who has been inflicted with magic and believing it to be a disease has been rejected by her fellow townsfolk. Along your journey you’ll be joined by a number of other characters with their own stories and talents. In terms of gameplay mechanics Eternal Sonata sticks closely to a Final Fantasy formula with players controlling a large party of up to 12 different characters. Each of these characters can be geared and levelled separately so the player has plenty of control in how their team develops. Despite having such a large party to choose from players can only pick 3 characters for any single battle. While it’s mostly a turn based experience players do get some control over the action with options to block and counter attacks at the right moments. The game environment at the current time is also an important combat element with lit areas providing bonuses to certain enemies and allies with shadow areas having similar effects on others. 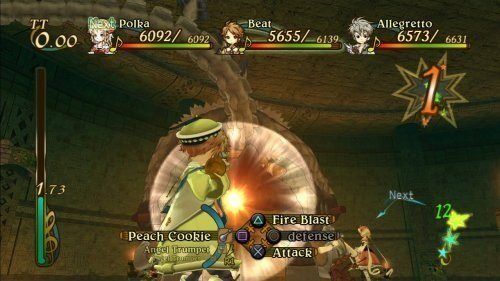 Eternal Sonata is a wonderfully fun and engaging journey with a fun musical theme to its gameplay. A RPG based on an actual composer. Musical elements are present in the game world. Up to 12 members to use in your party (3 in combat at any time). Upgrade skills and equipment on your characters. For Xbox 360 and PlayStation 3.